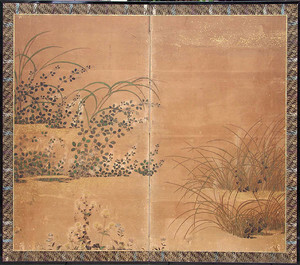 The Kura was established in 1994 in the ancient capitol and cultural heart of Japan, Kyoto. Our location is an advantage to collectors as it guarantees all items are fresh to the market. We offer an eclectic collection of 15th to 21st century Art, including Screens and Scrolls, Okimono, Chadogu, Bronze, Lacquer and Ceramics, as well as Armor and other Oddities. We are confidant you'll find prices and inventory which appeal to a wide range of budgets. All items are authentic, the origin, period and condition guaranteed to be as described. The cost of Fully Insured Express Mail Shipping is included in the catalog price for all but oversized items (such as folding screens or armor) which require special transport. 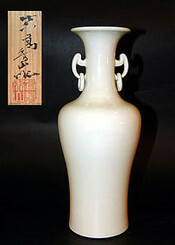 If there is anything in particular that you are looking for: lacquerware, a certain painting style or artist etc. please let us know. We are constantly working to tailor the site to the collecting needs of our customers. The Kura will be updated weekly, so please check back with us often. powered by Vervendi ©1998-2015 We vend with verve!